Citrix have released XenServer 6.0 to web. I have been waiting long time for this great release from Citrix. I have been using and testing the GPU pass-through technology thats is now supported in XenServer 6.0, i tested the technology with XenServer 5.6.x it was not stable in XenServer 6TP it worked like a charm and now its official supported. XenServer 6.0 raise the bar again within Server Virtualization and improve areas like performance, scalability, cloud ready, XenDesktop enhancements. Integrated StorageLink. Access to use existing storage array-based features such as data replication, de-duplication, snapshot and cloning. Replaces the StorageLink Gateway technology used in previous editions and removes requirement to run a Windows VM with the StorageLink components. XenDesktop VDI deployments with HDX 3D Pro. Recovery and High Availability. vApps can be easily imported and exported using the Open Virtualization Format (OVF) standard. step-by-step process that blocks unsupported upgrades. 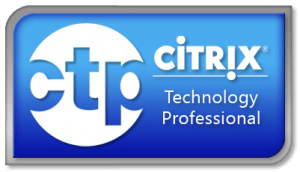 supplemental pack from Citrix. For more information refer to the Microsoft System Center 2012 Virtual Machine Manager page. Distributed Virtual Switch Improvements. 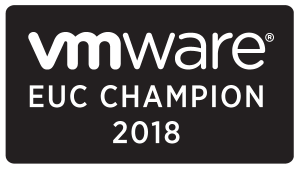 New fail safe mode allows Cross-Server Private Networks, ACLs, QoS, RSPAN and NetFlow settings to continue to be applied to a running VM in the event of vSwitch Controller failure. Increased Performance and Scale. Supported limits have been increased to 1 TB memory for XenServer hosts, and up to16 virtual processors and 128 GB virtual memory for VMs. Improved XenServer Tools with smaller footprint. Networking Improvements. Open vSwitch is now the default networking stack in XenServer 6.0 and now provides formal support for Active-Backup NIC bonding. Simplified Installer. Host installations only require a single ISO. (32/64-bit) and SLES 10 SP4 (32/64-bit). Experimental VM templates for CentOS 6.0 (32/64-bit), Ubuntu 10.10 (32/64-bit) and Solaris 10. XenDesktop Enhancements. 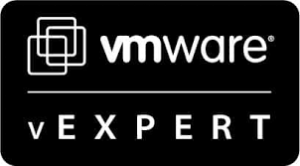 HDX enhancements for optimized user experience with virtual desktops, GPU Pass-Through, and increased VM and XenServer host limits. VM Protection & Recovery. Now available for Advanced, Enterprise and Platinum Edition customers. NFS Support for High Availability. HA Heartbeat disk can now reside on a NFS storage repository. Host Architectural Improvements. XenServer 6.0 now runs on the Xen 4.1 hypervisor, provides GPT support and a smaller, more scalable Dom0. Upgrade to XenServer 6.0 is possible from any version of XenServer 5.6 including 5.6 (base), 5.6 Feature Pack 1, and 5.6 Service Pack 2. Note: For information on upgrading the vSwitch Controller Virtual Appliance, see the XenServer 6.0 vSwitch Controller User Guide. Download the 6.0 version of XenCenter. on the serial console of the host. Once the upgrade begins, XenCenter prompts you to insert the XenServer installation media or to specify a PXE boot server for each host that you upgrade. Once you have selected your Upgrade Mode, click Run Prechecks. not enter the username and password associated with your XenServer pool. To perform a fresh installation of XenServer 6.0, please refer to the instructions in the XenServer 6.0 Installation Guide.